The rapid progress in nanotechnology with regard to the analysis, processing and production of very small components and molecules poses new challenges for the planning of laboratories. 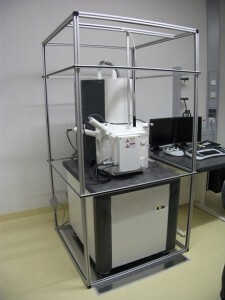 In addition to the optimization of the technical installations for experiments with the highest resolutions, the external disturbances such as ground vibrations, electromagnetic fields, airborne sound, temperature, air pressure and humidity fluctuations are becoming increasingly important. The company Bilz Vibration Technology AG is meeting the increasing demands of industry and research and has developed solutions and systems that constantly expand the boundaries of the physically feasible. 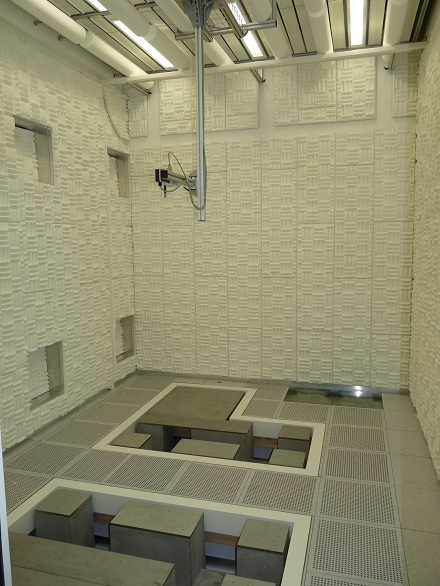 The competence of Bilz can be found in the design, manufacturing and installation of vibration isolation systems which make it possible to install experimental setups and laboratory samples without resonance amplification and at an extremely low frequency. Furthermore, the design and installation of acoustic insulation and magnetic field compensation systems are provided by Bilz. It is important for an optimum interpretation that the above mentioned influencing variables can be taken into account at an early stage in the planning phase. Bilz serves its customers with best in class experience in the planning process and looks at the entire project realization together with them. 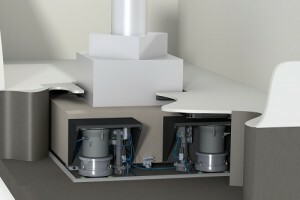 Moreover, there are numerous solutions (e. g. platform installations) also for retrofitting existing systems. Bilz is proud to state well-known references from industry and research with best reputations, e g. from MPI-Stuttgart or IBM (ETH) in Zurich.